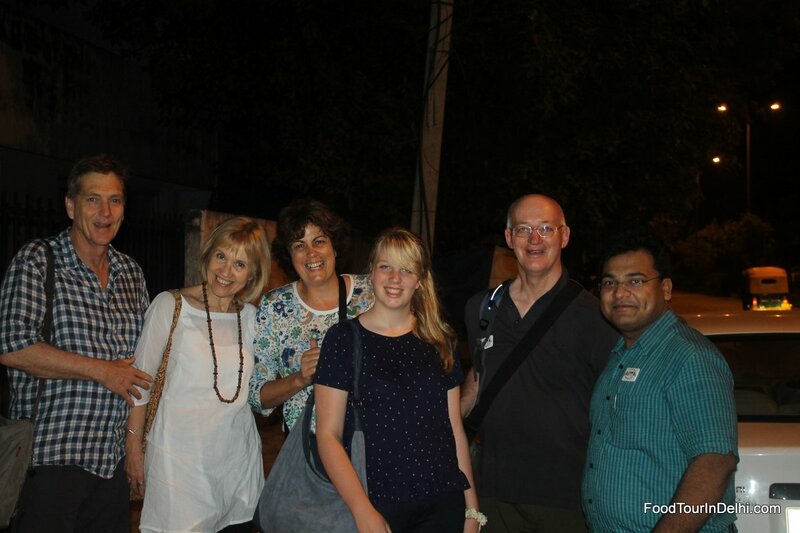 After some toing and froing between our guides we met up with Rajeev and JD from Food Tour in Delhi at about 3.00pm. Exuberant Rajeev and the quieter JD were to lead us through the most extraordinary NINE hour food adventure through some of the oldest (and scariest) parts of Delhi, introducing us to some of the most authentic food tastes and experiences we could never imagine. 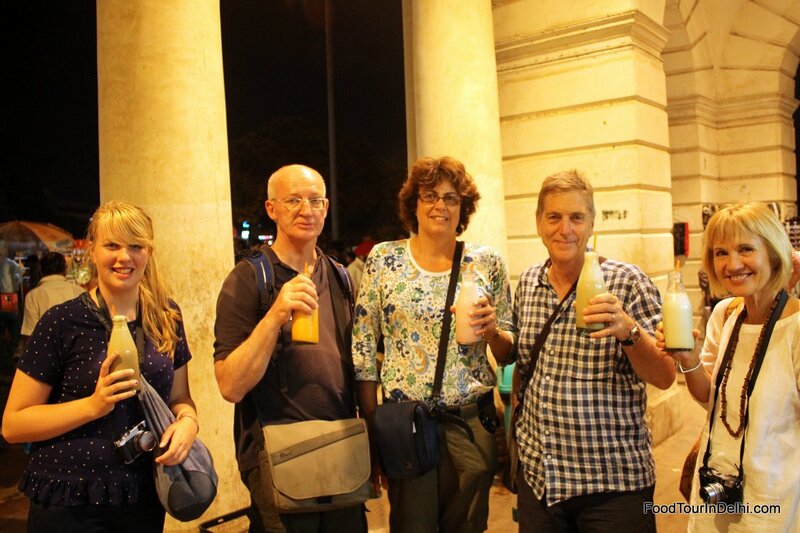 It’s now almost 24 hours after we concluded the tour and no gastric upsets yet – so it proved to be a completely successful food experience in every sense!! 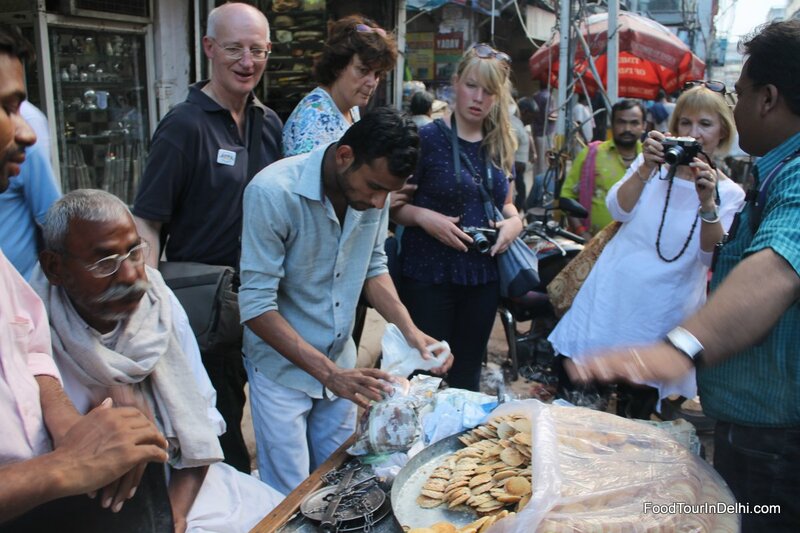 We set off in rickshaws through the crowded, gridlocked streets and laneways of heritage listed Old Delhi. 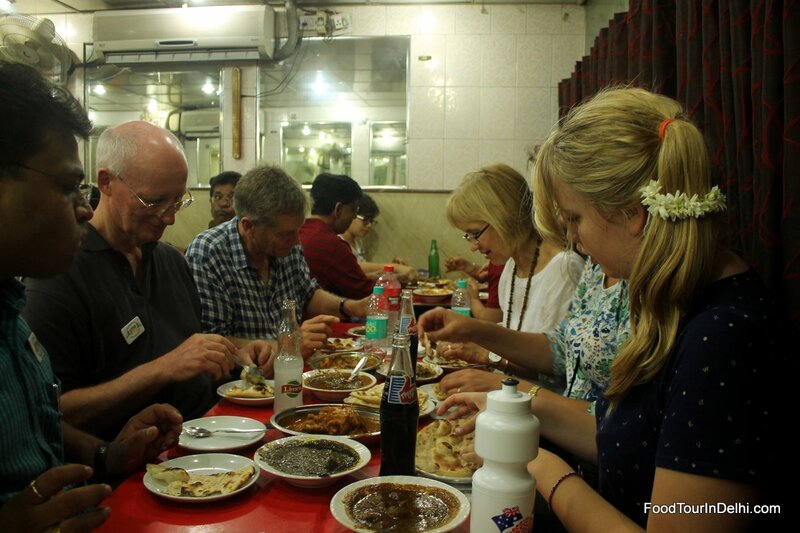 We were very brave and signed up for this food tour on our first day in Delhi (and first time in India). 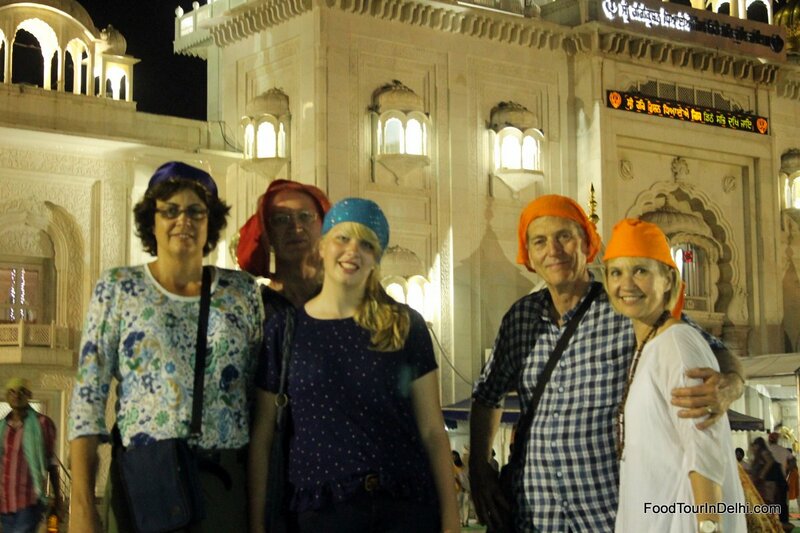 There were five of us, four baby boomers and a fourteen year old, keen to learn more about the culture but more than a little concerned about what we might be confronted with. Rajeev and JD could not have taken better care of us over NINE amazing hours, experiencing the tastes, stories, sensations, sound, spirit, movement, and traffic chaos of Delhi. 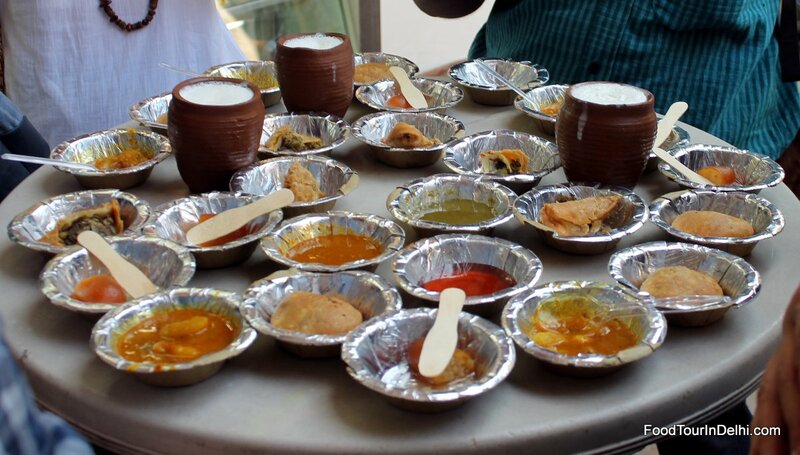 This is a unique way to experience the food culture of Delhi with someone who has strong vision and knowledge of what makes the city’s street food so special and is absolutely passionate about sharing it. Yes, there were some concerning moments. Downing those cold sloppy green filled chaats in one mouthful was one of the more difficult moments for me – but an experience not to be missed nevertheless. A highlight of the tour was the visit to the spice market at sunset. The chilli fumes were so strong it catches your breath – and trading is continuous no matter what the time of the day. But seeing it at this time of the day, with the workers framed by the evening light and smoke from cooking fires was a very memorable experience. Despite our first day in Delhi anxieties we had NO negative outcomes from eating the huge range of foods that Rajeev and JD introduced us to on this tour. This tour is a unique, not to be missed Delhi experience.